I have heard a number of interesting stories about ways people have used Be a Good Teammate beyond the traditional confines of a children’s book. I have had parents use it in lieu of graduation cards. I have had booster clubs give it to players as senior night gifts. I have even had school guidance counselors design curriculum around it. But I recently heard a story about a high school football team’s usage of the book that I found to be particularly inspiring and worth sharing. At Fairmont Senior High School in Marion County, West Virginia, if you choose to put ME ahead of WE, you’ll likely hear the command: “You gotta read the book.” And that command can come from anybody on the team, to anybody on the team—including the coaches. 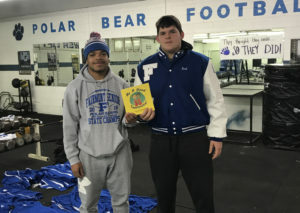 The Fairmont Polar Bears are guided by a culture of unselfishness. Anytime a member of the team is found to have done something selfish or to have not put the team first, that player is required to read “the book” in its entirety, out loud, in front of the entire team. As I am sure you have already figured out, “the book” is my book, Be a Good Teammate. The idea of “You gotta read the book” came from offensive coordinator Mark Sampson, who happened upon Be a Good Teammate while previously teaching at an elementary school. Head coach Nick Bartic and the team’s captains bought into the idea, and the practice quickly became a part of the Polar Bears’ culture. The Fairmont coaches rightfully believe selfish motives hurt the team. If you’re going to lift weights, do it because it will help your team, not so you can get bigger. If you’re going to work on your passing routes, do it because it will help your team, not so you can get more passes. Unselfishness is demanded at Fairmont, and the coaches expect players to hold each other accountable to that standard. “The book” helps them do this. To clarify, it doesn’t take very long to read Be a Good Teammate “in its entirety.” There are less than 30 sentences in the whole book. But each one of them speaks volumes. My coach tells me to be a good teammate. What is a good teammate? Our coach says good teammates do three things. When my teammate scores, I cheer and tell her nice shot. If my teammate falls down, I help her up. I share with my teammates. I listen to my coach. I also listen to my teammates. You don’t have to play sports to be on a team. A band is a team. A class is a team. The police are a team. The fire department is a team. A neighborhood is a team. A family is a team. Everybody is part of a team!!! I love being on all of my teams. I love being a good teammate. The tale of “You gotta read the book” and the Fairmont Senior High football team has a storybook ending. Last week, the Polar Bears finished their season with an undefeated record of 15-0. They capped their memorable year by claiming the school’s first state championship since 1946. The results would seem to support his belief. 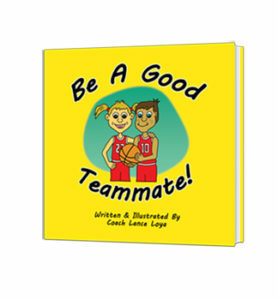 I originally wrote Be a Good Teammate for my daughters. They were just learning to read at the time, so it was written on a very basic level. In fact, I tried to use as many of their class’s sight words in the book as possible, so they could read it to themselves. The short sentences were more like bullet points for discussions on how to be a good teammate. But more than anything, the book was intended to be a way for me to offer my daughters what I felt to be worthy life advice. I am glad others have found ways to use the book to give the same advice to people they care about. Any coach can coach strategy. Good coaches coach players. Great coaches make coaching players to be good teammates part of their strategy. 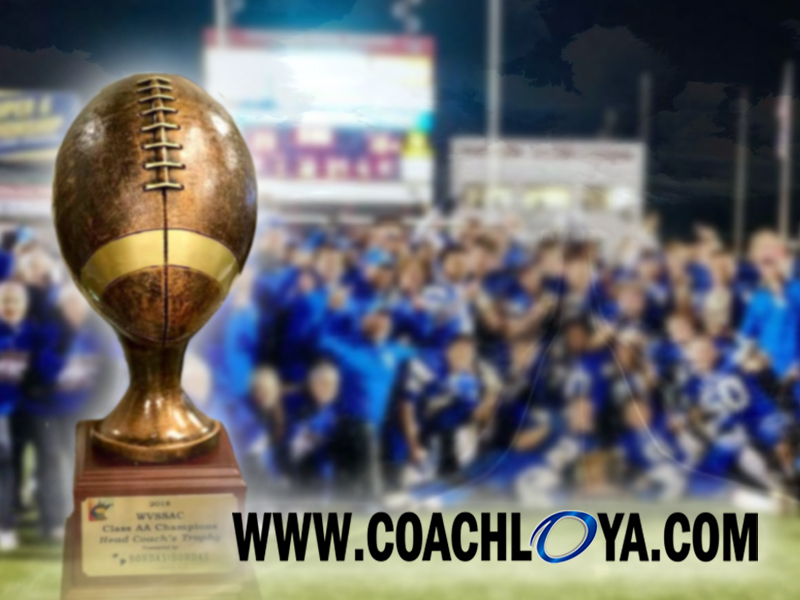 Would you like to receive the Teammate Tuesday blog on a regular basis? Do you know someone who would? Join our mailing list for bonus insight and inspiration. You’ll never miss another edition again! Sign up here. Look how you have inspired others!!! Thank you! But…I think it is them who inspire me.